Coming into the Ball State game, I expected Clemson to have a slight hangover, to come out of the blocks a tad slow, and potentially fall behind early. They far exceeded my expectations as they dropped 45 points in the first half, scored on 7 of 8 possessions, and quickly put the game out of reach. And by doing so, started the revolving door of 2nd, 3rd, and even 4th string players getting to see some quality game action. In addition, it allowed great stories like Daniel Rodriguez making his first career reception, an ACC record field goal, and playing four quarterbacks. And it gave the coaches ample film for player development and coaching. But was it a truly great day? Do those positives far outweigh the negatives? 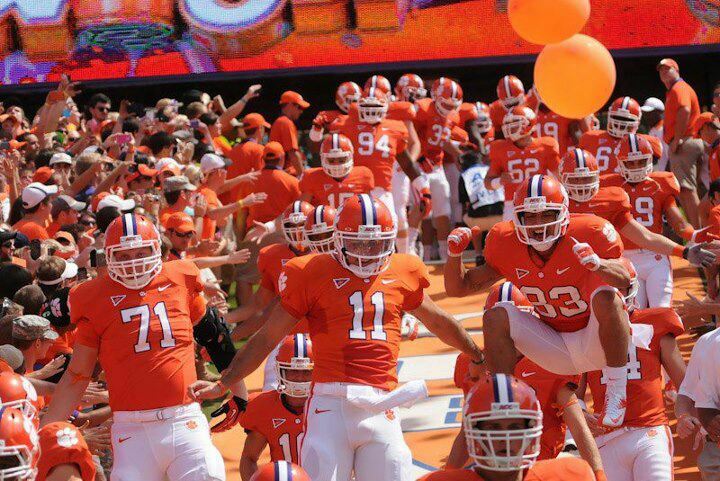 Did everyone leave Death Valley feeling comfortable about the state of the team? I for one did not – and not just because I wasn’t actually there. I saw an offense that struggled to run the ball effectively. One week after blowing Auburn off the ball, Ellington had very few holes. And the yardage he did make seemed to come from determination more so than holes. The best run of the day belonged to Hot Rod, only because he made a guy look like a fool near the line of scrimmage. I saw a defensive line that created very little pressure. They recorded only one sack and only 2-3 tackles for loss. The Ball State running game was consistently picking up 3-4 yards before first contact. I saw a linebacking corps unable to shake blocks and a secondary taking terrible angles. When a team can rush for over 250 yards – and keep the quarterback in the pocket and the flea flickers on the sideline, then all three defensive units struggled. This team has performed better against GT – and they barely attempted a pass. But all was not lost. The defense played great on 3rd down, limiting Ball State to 20%, and in the red zone, where the first two opponents have combined for a single touchdown while inside the 20. Additionally, the passing game looked sharp as the four quarterbacks combined to connect on 75% passing for 372 yards. So – did Clemson play as well as the headlines lead you to believe? No – absolutely not, as the running game and defense still have work to do. But Ball State, and now Furman, provide the perfect opportunity to work out those kinks before heading to Tallahassee to meet Kirk and the GameDay Boys. 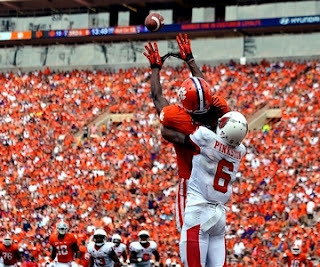 Astute assessment..that Clemson FB team has work to do to get where they want to be to win big.